Corinth Pipeworks is one of the world’s leading producers of pipes for the energy and construction markets. 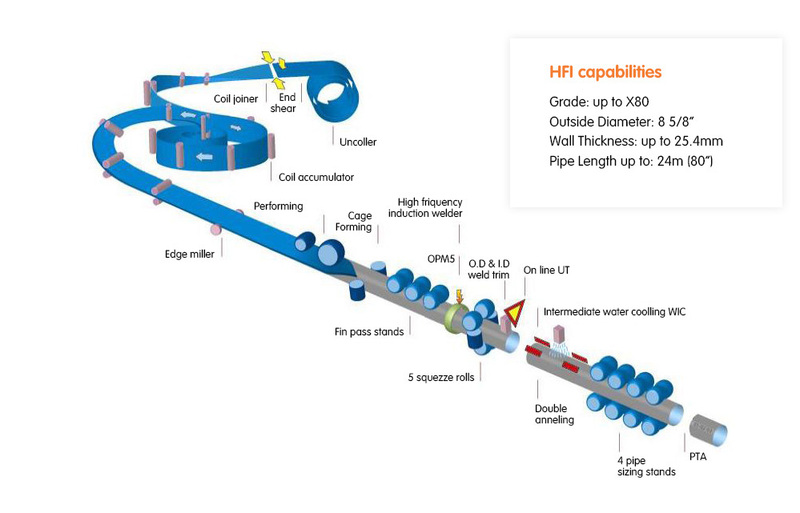 When the company won a contract to produce more than 850 kilometres of high frequency induction (HFI) welded pipe for a US customer, Corinth again turned to their long-term steel supplier, ArcelorMittal Europe – Flat Products. As well as being the largest HFI project Corinth had undertaken, the order also resulted in the pipe maker’s largest ever order to ArcelorMittal. The pipes were ordered by Plains All American Pipeline, a leading operator of energy infrastructure in the United States. 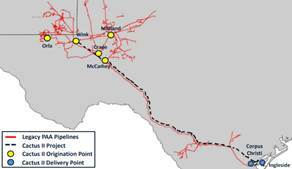 They will be used in the company’s Cactus II oil pipeline project which links McCamey and Corpus Christi in Texas. The 26-inch pipes will also be used in another oil pipeline between McCamey and Wink, also in Texas. The total length of both pipelines is over 850 kilometres. Corinth Pipeworks has previously delivered over 1,800 kilometres of pipes to Plains All American Pipeline. Although the two companies have a long history of working together on major energy projects, this was the largest steel order Corinth Pipeworks has placed with ArcelorMittal Europe – Flat Products to date. Coordination between the two ArcelorMittal mills and Corinth ensured the pipe maker had a continuous stream of material to meet their just-in-time delivery schedule. That enabled Corinth Pipeworks to meet their customer’s tight timetable. As part of an investment programme to reduce carbon emissions at ArcelorMittal Ghent (Belgium), the plant has commissioned a pipeline to transport gaseous oxygen. Covering 35 kilometres, the pipeline is expected to become operational by mid-2019 and will be built, owned, and operated by Air Liquide. Corinth Pipeworks used steel from ArcelorMittal Krakow (Poland) to manufacture the HFI pipes used in the project. Steel grade L360NE was utilised for its excellent yield strength and toughness. These properties are achieved thanks to the low levels of phosphorous and carbon in the steel. 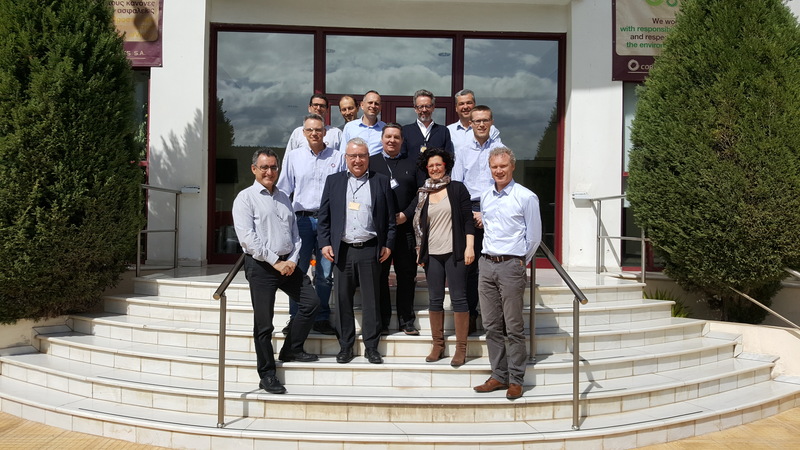 ArcelorMittal Krakow accepted the challenge to produce the steel in a short timeframe, notes Frederic Bouchaud: “There was very good cooperation between ArcelorMittal Krakow and Corinth Pipeworks. That enabled us to deliver the project on time. 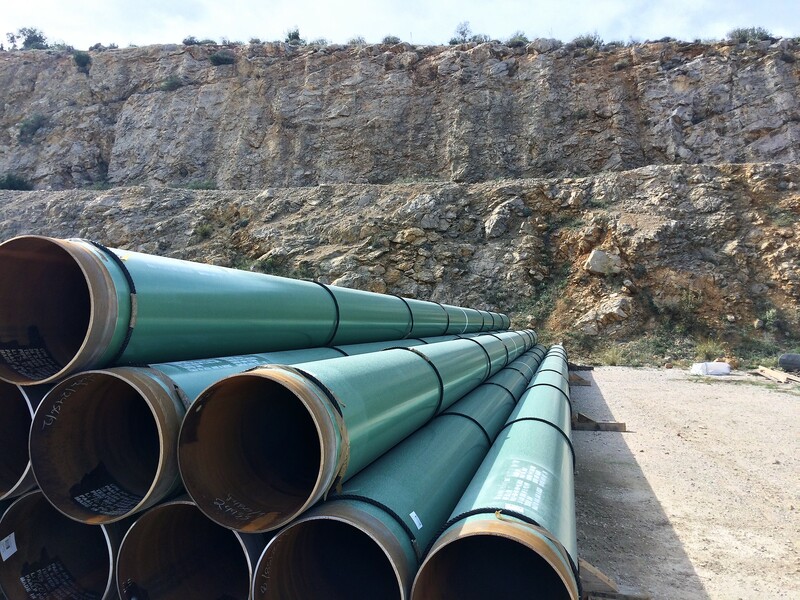 Corinth Pipeworks is a leading steel pipe manufacturer for the oil and gas industry and a major hollow sections supplier to the construction sector. The company makes significant use of technology to create innovative and high-performance products for its global customer base.